Dr. Regenstein is a Professor of Food Science in the Department of Food Science. 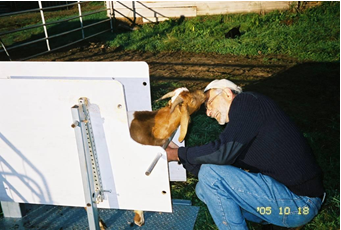 He also has an appointment in the Field of Global Development and serves as an Adjunct Professor in the Department of Population Medicine and Diagnostic Sciences in the College of Veterinary Medicine. In 2010, he became a member of the Program of Jewish Studies. Dr. Regenstein heads the Cornell Kosher and Halal Food Initiative. He is an Adjunct Professor of Food Science at Kansas State University, where he teaches his kosher and halal course, and has been accepted to the graduate program to supervise distance learning M.S. students. Both his Bachelor of Arts in Chemistry (College of Arts and Sciences) and his Master of Science in Dairy Chemistry (College of Agriculture and Life Sciences) are from Cornell. He received a Ph.D. in Biophysics (Muscle Contraction) from Brandeis University in 1973. Dr. Regenstein has been on the faculty at Cornell since July of 1974 and spent his 1980-81 sabbatical year at the Torry Research Station in Aberdeen, Scotland. During the 1996-1997 academic year he spent a sabbatical year as the Institute of Food Technologist's (IFT) first Congressional Science Fellow in Washington, DC. 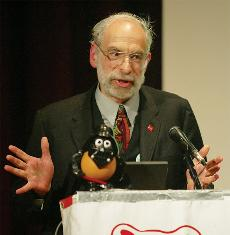 Professor Regenstein’s research work has focused on flesh foods, particularly fish and poultry, with an emphasis on meat protein functionality; shelf-life extension of fresh and frozen fish; product development with underutilized fish, especially mince or mechanically deboned fish; aquaculture; and by-product recovery (edible, and non-edible products) from poultry and fish processing wastes, especially fish gelatin. In collaboration with his wife Carrie, he wrote ”Food Protein Chemistry, An Introduction for Food Scientists” which was published by Academic Press in 1984. Their second book ”An Introduction to Fish Technology” was published by Van Nostrand Reinhold in 1991. Dr. Regenstein currently has primary responsibility for three courses: Kosher and Halal Food Regulations, Introduction to Animal Welfare (Animal Science Department) and Environmental Stewardship in the Cornell Community (College Course), and contributes to a number of other courses. In 2003 he received the College of Agriculture and Life Science’s award for Efforts to Promote Multicultural Diversity. Dr. Regenstein has published numerous scientific articles as well as materials in the trade literature. He leads the Cornell Kosher and Halal Food Initiative, which provides extension/outreach services to the kosher and halal foods sector and was a columnist for many years for KASHRUS Magazine. Dr. Regenstein was the keynote speaker at the 5th International Halal Food Conference in Chicago. In 1988, he received the Earl P. McFee Award as an outstanding fish technologist from the Atlantic Fisheries Technological Conference. Dr. Regenstein was the IFT Aquatic Food Products Division’s Lecturer in 2003. In 2005 he was invited to speak to the Islamic Religious Council of Singapore (a government agency) on kosher foods. In 2007 he was a guest of the Muslim Council of Britain and spoke on religious slaughter. In 2009, he was a guest speaker at the 4th World Halal Research Summit (in Kuala Lumpur) and the World Halal Forum – Europe (in the Hague). In 2010 he was invited to speak at the DialRel (Dialogue on Religious Slaughter) meeting in Girona, Spain and has also recently been interviewed by the French Muslim Consumer Organization (www.ASIDCOM.org). In 2011 he spoke at the 6th World Halal Research Summit in Kuala Lumpur. This year he spoke at the First International Conference on Halal Control in Riyadh, Saudi Arabia. Dr. Regenstein is a member of the American Chemical Society, the Atlantic Fisheries Technological Conference, the American Meat Science Association, the IFT, the Poultry Science Association, and the Association of Orthodox Jewish Scientists (although he, himself, is not Orthodox). A former scientific lecturer and a national councilor, Dr. Regenstein was a member of the IFT Executive Committee (1993-1996). In 1995 he was elected a Fellow of the Institute. He is also the co-founder and newsletter editor of IFT’s Religious and Ethnic Foods Division. In 1983 Dr. Regenstein was invited to be the first Guest Fellow of the New Zealand Institute of Food Science and Technology. He received the Elizabeth Stier Humanitarian Award from IFT in 2000. Dr. Regenstein is a member of the Food Marketing Institute (FMI) and the National Council of Chain Restaurants’ Animal Welfare Committee. In 2005, Dr. Regenstein became a member of the board of a now completed national project on “Sacred Foods,” that worked with the faith-based community to look at sustainability of the food supply and he currently works closely locally with Shared Journeys. In 2008, Dr. Regenstein was asked to assist the Tzedek (social justice) Commission of the Conservative Movement to develop auditing standards for their Magen Tzedek service mark (www.magentzedek.com). He recently received a Jeffrey Lehman Fellowship from Cornell for a 5 week visit to China with stays at South China University of Technology (Guangzhou) and Jiangnan University (Wuxi) along with visits to China Agricultural University (Beijing) and Ocean University (Shanghai). Dr. Regenstein has been asked to be the co-editor of Food Bioscience, which would be the first English peer-reviewed scientific journal originating in China. Additional notes: Dr. Regenstein is an advisor to the Kashrus sub-committee of the Committee on Law and Standards of the Rabbincal Assembly (Conservative Movement). Dr. Regenstein is also a member of the Technical Committee of the Islamic Food and Nutrition Council. He was a member of Governor Cuomo’s Kosher Food Advisory Council and was responsible for getting FDA to require labeling of the coatings of fresh fruits and vegetables in consumer friendly language. He was an editor for Rabbi Blech’s book “Kosher Food Production” and Drs. Riaz and Chaudry’s book on “Halal Food Production.” In 2007, Dr. Regenstein gave a talk on the Spirit of Humane program in Adana, Turkey. He is working with Spirit of Humane to design low cost halal/humane slaughter equipment (www.spiritofhumane.com) and with Saratoga Cheese Corporation to bring to upstate New York the first dedicated Cholev Yisroel (Jewish Milk) kosher and halal cheese plant in North America. You, L., Zhao, M., Regenstein, J.M. and Ren, J. 2011. In vitro antioxidant activity and in vivo anti-fatigue effect of loach (Misgurnus anguillicaudatus) peptides prepared by papain digestion. Food Chem. 124(1):188-194. Regenstein, J.M. 2011. Religion, Food Laws & Philosophical Food Choices. In The Modern Compendium of Halal. Volume 1: The Essence of Halal. MDC Publisher Sdn Bhd, Kuala Lumpur, Malaysia. Pp. 114-130. Dr. Akinoso is a dedicated reviewer and we appreciate his contribution. ED, AJFAND.